I hope everyone is having a good Anzac day! I haven't made (or even eaten!) any Anzac biscuits this year, but felt that these scones were appropriately Australian enough to share with you on this special day for our country. Enjoy! 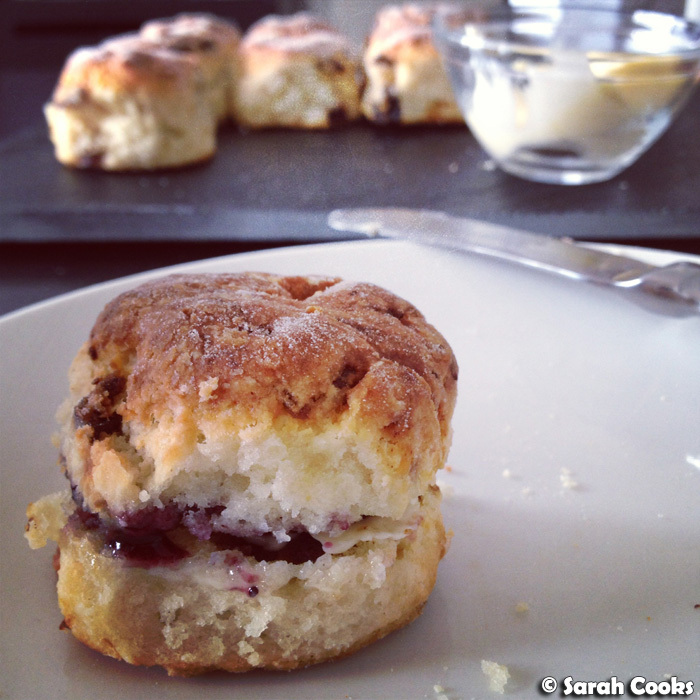 Every time I make scones, I say it's an improvement on the time before (see the start of this post for Sarah's Scone Saga), and I'm pleased to say this time was no exception! 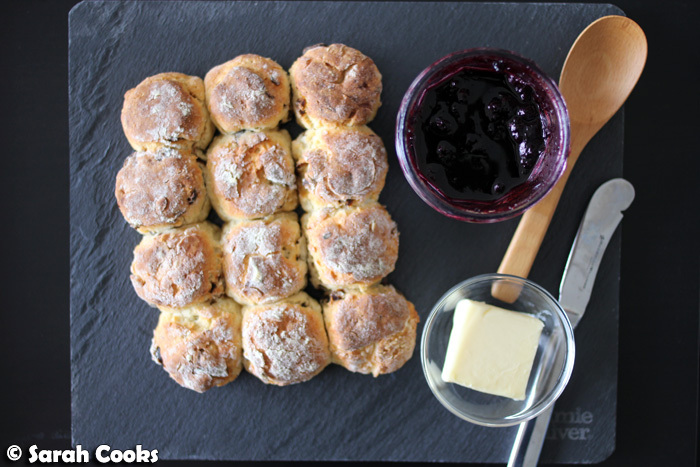 I made these particular scones on a lazy weekend morning (Easter Monday actually), when I wanted a sweet, treat of a breakfast, without having to leave the house or change out of my PJs. I based the recipe on Belinda Jeffrey's Fluffy Buttermilk Scones, from Mix & Bake, but scaled it down significantly, used all self raising flour (no wholemeal), and replaced her suggested buttermilk with a mixture of Greek yogurt and milk. I've tried this recipe before, two and a half years ago, and they were definitely better this time. Not only were they smoother thanks to the lack of wholemeal flour, but they also seemed less flat because I cut them nice and small (I used a 4.6cm scone cutter). I also added dates this time, and they were fantastic! 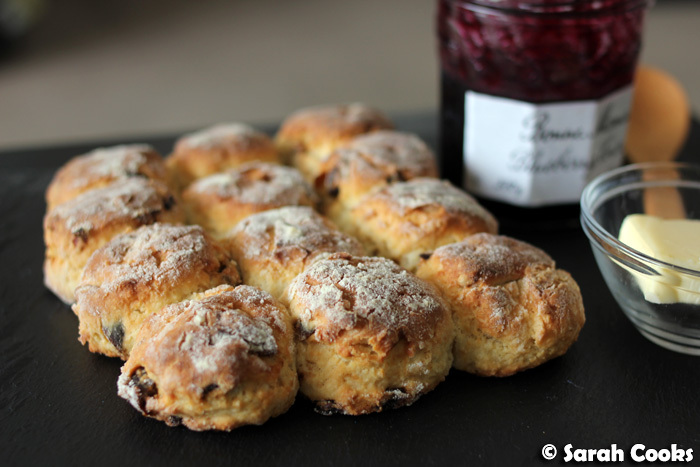 Turns out I prefer fruit scones to plain ones! The little pops of sweetness are just so delicious! Who knew? I patted out the dough onto a sheet of baking paper, rather than directly onto my kitchen bench. As much as I love being in the kitchen, my most loathed kitchen task is cleaning a bench after having rolled out dough or pastry on it. It's the worst! 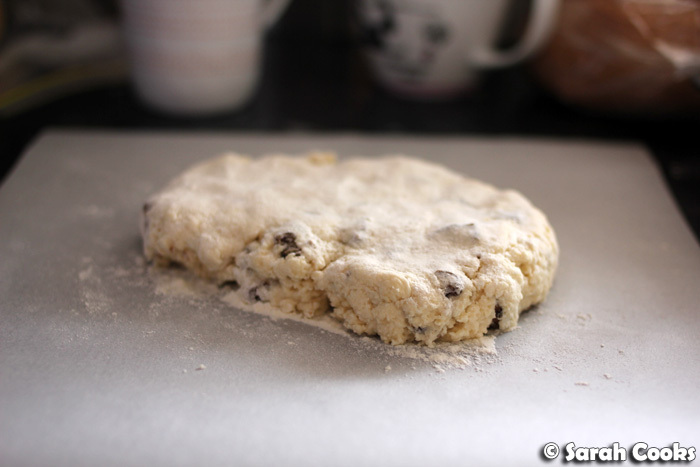 Using the baking paper also makes it easier to lift the delicate scones, without tearing or ripping them. I didn't glaze them this time, but you could definitely do the double-egg yolk glaze if you were so inclined. And ta-dah! Scones! 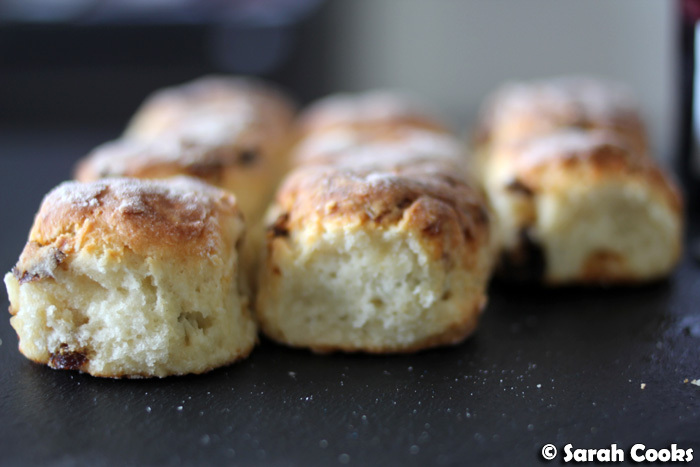 Some recipes say to cover them with a tea towel after they're baked, to trap the steam and keep them soft, but I never do this because I love a crunchy-topped scone. 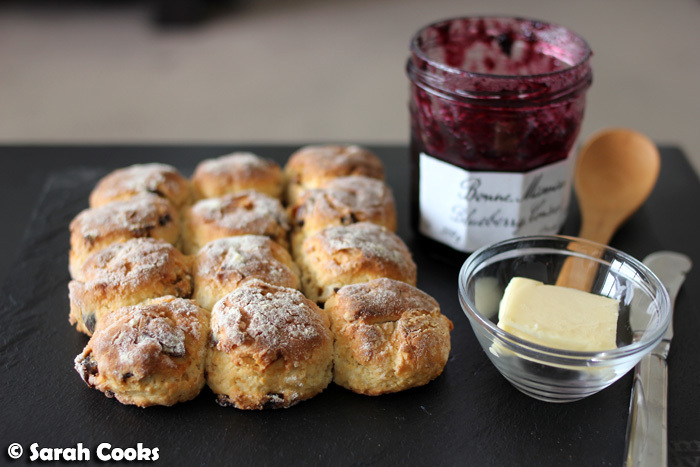 I was so pleased with these scones! See? So fluffy on the inside! 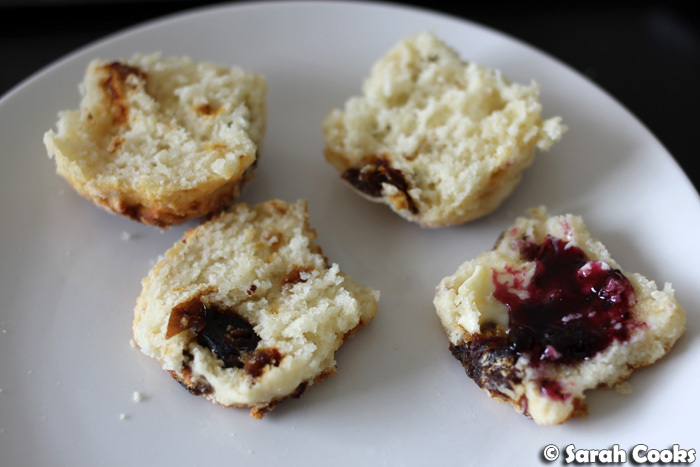 Ordinarily I love scones with jam and cream, but sadly the cream I had in the fridge had gone off. So it was butter and blueberry jam. (I would have gone to the shops for cream, but you know, PJs). Sift the flour, sugar and salt into a mixing bowl. 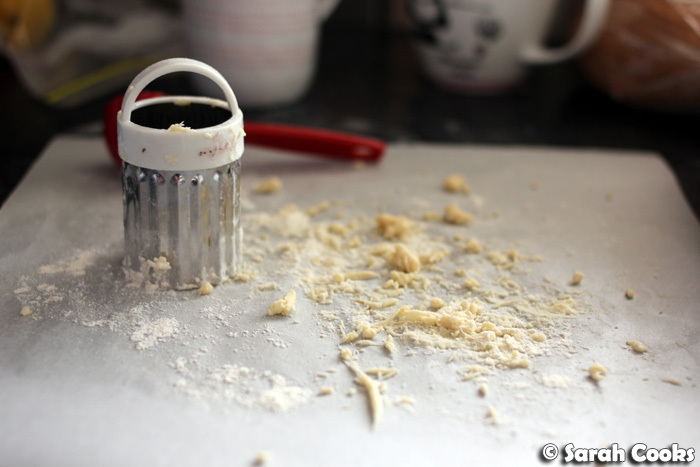 Add the butter and use your fingertips to rub the butter into the flour until it resembles fine breadcrumbs. 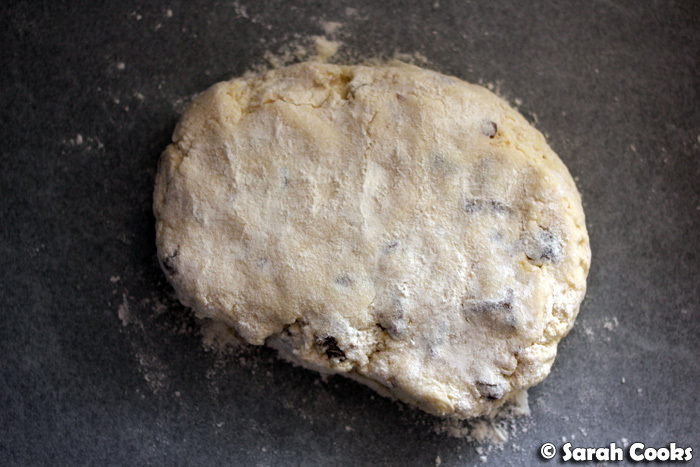 Add the chopped dates and mix to distribute evenly through the flour mixture. Place the yogurt into a measuring jug, and pour in enough milk to come up to the 125 ml (1/2 cup) mark. Mix with a fork or small whisk to combine. Pour the yogurt/milk mixture into the dry ingredients, and stir gently with a wooden spoon to combine. 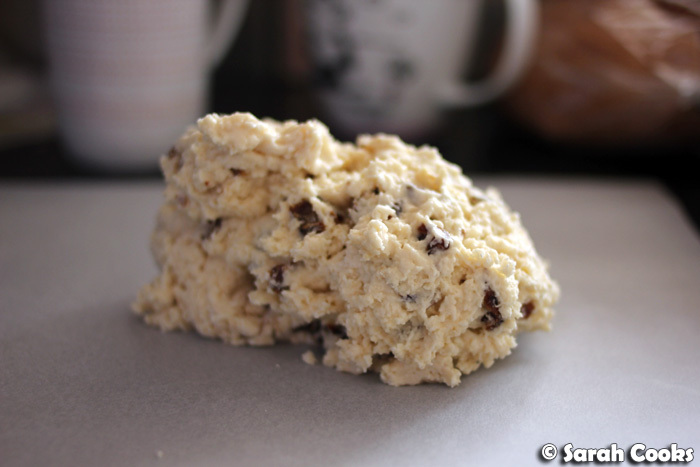 Tip the mixture onto a sheet of baking paper, dust lightly with flour and pat into a rough rectangle of about 4 cm thickness. 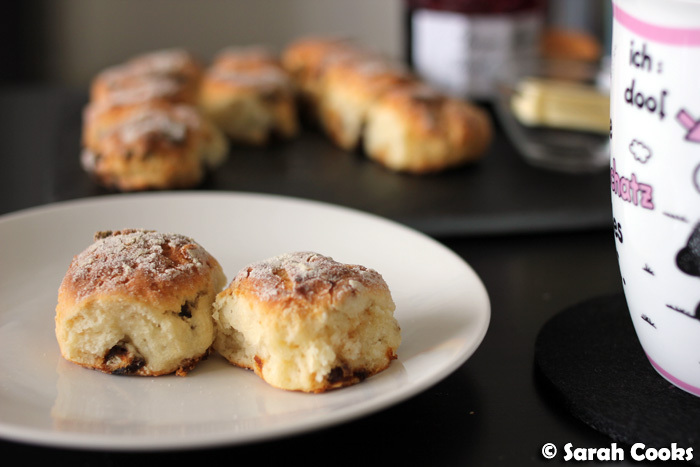 Cut out scones using a small cutter (mine was 4.6 cm in diameter), dusting it with flour each time. Cut straight up and down, not twisting the cutter. 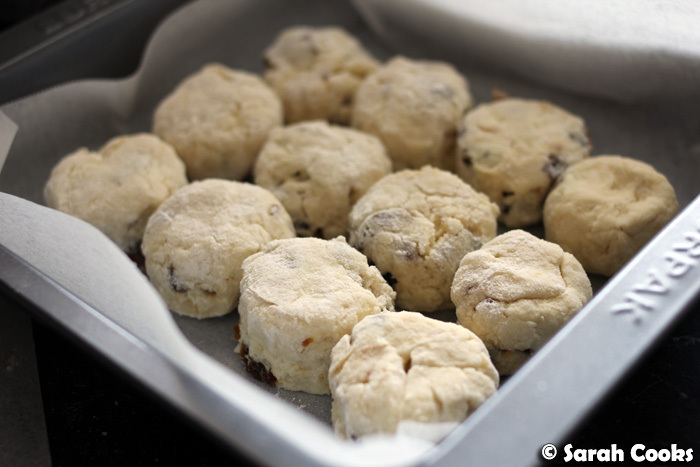 Place the scones close together on a lined baking tray. Bake for 20 minutes, or until golden brown and cooked when tested with a skewer. Allow to cool for 5 minutes or so before eating. Serve with butter, cream, jam, honey, or whatever you like. I had mine with butter and blueberry conserve and they were dee-licious. Is there anything dates can't do? These, with their golden tops and enticing interiors and Australian-ness, make me happy. Great height on the scones I think I need to get your scone cutter - it looks really good.